For reasons which remain a subject of vigorous debate, an 8-million-strong country only 65 years of age has been enthusiastically climbing the world’s scientific, technological and intellectual ladders. Despite the divergent opinion of Israel which exists today, few can deny that, notwithstanding the circumstances and the sizeable hindrances, many expectations have been exceeded here. As tech-frontrunning has been one of Israel's fortes, the country did not disappoint when the world began waking up to the past decade's Brain Tech Revolution. 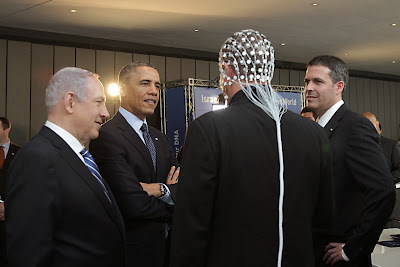 In fact, Israel’s President Shimon Peres was one of the first global leaders to see the immense potential of neurotechnology and to lay foundations for Israel’s now burgeoning Israel Brain Technologies initiative, officially founded in 2011. Many figures and organizations quickly followed suit, in what has now become a global gold rush to fill the emerging power vacuum on the throne of world brain leaders. Whilst many countries are still working to put their "neuro-infrastructures" in place, Israel can already boast a few prominent brain tech start-ups, some of which already have products on the market. Below is a list of our five favorites. Obama likes them too! The selection criteria for our favorite brain start-up list did not include the requirement for the word “brain” in the company name, we swear. Considering Israel’s strength in medical devices, and also in line with the global neurological therapeutic landscape which is seemingly swerving away from neuropharmaceuticals, only one of the technologies is a therapeutic, whilst the rest are neurodevices or neurodiagnostic tools. Therapeutic neurostimulation has been hot off the conveyor belt last year. Jerusalem-based Brainsway is a developer of a Transcranial Magnetic Stimulation (TMS) device which, in essence, is a fancy name for a deep brain tissue massager. Brainsway’s key technology—Deep TMS System—exploits scientific knowledge about areas of the brain responsible for depression and other neurological disorders, the likes of which are Alzheimers and schizophrenia, and Brainsway’s breakthrough ability to penetrate deep into brain tissues with magnetic fields. The FDA has recently approved Brainsway’s TMS system for the treatment of depression patients who have not responded well to other treatments, and the company is working on expanding their therapeutic targets towards autism, obesity, bipolar disorder and Parkinson’s disease in the near future. 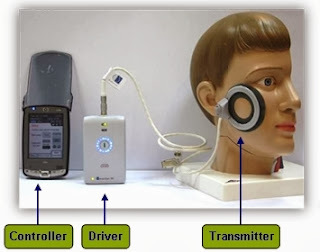 TMS technology was invented during the 1980s as a diagnostic tool. It operates by sending an electric current through a coil, whereby an intense magnetic field is generated. When encompassing the brain, the field penetrates the cranium and stimulates nerve cells in a particular area of the brain. During the 1990s, Israeli scientists began speculating as to the potential psychiatric applications of TMS after accounts emerged of patients reporting mood improvement following exposure to TMS. Researchers from Beer Sheva, Haifa and Tel HaShomer pioneered studies relating to TMS and treatment of depression, mania and posttraumatic stress disorder. Early TMS devices were limited by the extent to which they could penetrate beyond the cerebral cortex (which was at most 1.5cm). Elevating the intensity of the magnetic field increased the depth of penetration but brought with it a higher risk of negative side effects, such as pain. The deepTMS technology was conceived by Avraham Zangen, a Bar-Ilan University alumnus, and Yiftach Roth. 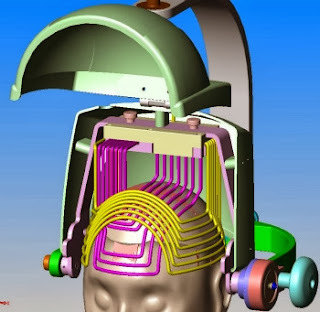 Attempting to achieve more substantial penetration of brain tissues with TMS, Zangen thought of a way to reach areas deep in the brain by activating the magnetic field at several points and having them target the same area of the brain. At the same time that the field being directed at the targeted area would undergo an effect similar to constructive interference on account of emanating from more than one point, the areas not being targeted could be made to experience a reduced-intensity field on account of the opposite effect, similar to destructive interference. The emanating technology was termed the H-coil, and was capable of safely penetrating an unprecedented 8 centimeters into the brain, which opened up the possibility of treating such deep-brain disorders as depression, schizophrenia, Parkinson's disease, and addiction. The H-coil was patented in 2002, and the procedure whereby the H-coil was applied to TMS became known as Deep TMS. Brainsway was founded in 2003 by its current CEO Uzi Sofer and Avner Hagai, together with David Zacut. Brainsway conducted its first clinical Deep TMS trials at Tel Aviv University in 2005. It subsequently obtained European Union CE mark approval to treat major depressive disorder (2008), manic depression (2009), schizophrenia (2010), and posttraumatic stress disorder (2011). In January 2013, Brainsway won approval from the FDA and from Health Canada to market its Deep TMS device in the United States and in Canada as a treatment for depression in cases where patients failed to make a recovery following drug treatment. In June 2013 Brainsway announced the company has found a U.S. partner to distribute its Deep TMS technology, and is also due to begin marketing dTMS in Japan. The company is now again seeking listing on the Nasdaq exchange, following an initial failed attempt when it did not obtain the value it was anticipating. In 2007 Brainsway completed an IPO on the Tel Aviv Stock Exchange. Leading up to, and following FDA approval of deepTMS, Brainsway’s stock price has been on a considerable climb. In September 2013 Brainsway obtained FDA approval of IDE for Multi-Center Smoking Cessation Study. Established in 2000, BrainsGate is a medical device company committed to developing innovative therapies for patients suffering from CNS diseases. BrainsGate's platform technology involves electrical stimulation of the Spheno-Palatine Ganglion (SPG), a nervous center known to increase cerebral blood flow. BrainsGate’s SPG stimulation technology ISS (Ischemic Stroke System) has been shown to be effective in improving the outcome of patients suffering from ischemic stroke, in a 24 hour window after onset of symptoms. Currently available treatments have a maximum 4.5 window efficacy. Long-term SPG stimulation has also been found efficacious for the treatment of vascular dementia. 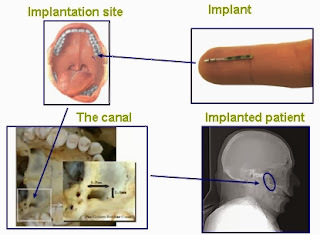 The SPG stimulation technology utilizes a miniature electrode implanted at the roof of the mouth in a minimally invasive, local anesthesia procedure comparable to dental treatment. Upon activation, the system augments cerebral blood flow. Treatment can be either acute (over a short period of time, hours or days) or chronic (over an extended period, months to years). In addition, the stimulation regimen selected determines the biological effect: a mild stimulation profile leads to gentle augmentation of cerebral perfusion aiding in the management of ischemic stroke or dementia, while a different, more intense regimen enhances the bioavailability of drugs in the CNS by increasing the permeability of the Blood Brain Barrier (BBB). Following very promising results in a pilot clinical study, BriansGate has launched ImpACT-24: a randomized, double-blind, sham-controlled study to assess the safety and efficacy of SPG stimulation in a 24 hour window from symptom onset. ImpACT-24 is a multi-national trial with centers in America, Europe and Asia, and is currently enrolling patients. BrainsGate's investors include Johnson & Johnson, Boston Scientific, Elron Electronics Industries, Pitango Venture Capital, Alice Ventures, Agate Medical Investments, Infinity Ventures and Cipio Partners. BrainsGate is headquartered in Caesarea, Israel. BrainsGate’s CFO Noam Levy holds an MBA from Stanford University and a B.Sc. in Aeronautical Engineering from the Technion-Israel Institute of Technology. Prior to joining BrainsGate Noam co-founded and served as CEO of Paycard Ltd., an Internet payment service company. Before that Noam served as CFO of Itamar Medical Ltd., a medical device company. Speaking enthusiastically about BrainsGate’s recent clinical trials, Mr. Levy says that in ischemic stroke virtually no existing therapy is effective in a 24-hour window, which makes ISS a one-of-a-kind, breakthrough therapy. Therapies which do exist are clot busters, and are effective up to a maximum of 4.5 hours after stroke. 24-hour therapies on the market or in clinical development carry substantial risks or inconveniences, such as the need to surgically remove blood clots from the brain, to implant tubes in the aorta or to shave and irradiate patients’ heads. The simplicity and safety of ISS are unmatched in the current stroke market. He says the patient recruitment for the SPG device’s impACT-24 clinical trials is 60% complete, and expects the trials to be finished within two years, if all goes according to plan. He added that stroke clinical studies are known in the industry as the “graveyard” for drug development, particularly due to the difficulty of designing the trials, and due to the ambiguous FDA trial assessment criteria. But in 2012 BrainsGate was proud to announce that, after 1.5 years of correspondence with the FDA, the company has been able to revolutionize the way in which stroke studies were conducted by convincing the agency to change its standard patient assessment scale to a much more accurate and optimal one. This is certainly great news for the company and future market entrants. A lucrative side to SPG stimulation is its ability to temporarily open the blood-brain barrier, which could be an extremely useful tool for CNS drug delivery of large molecules. BrainsGate chose not to explore this market, Mr. Levy explains, because clearly no drug which would complement the system exists. If the company followed this development path, it would be offset by another decade trying to develop a drug which would work with the device. Instead, BrainsGate chose to develop one therapy at a time, although that does not mean that in the future the company won’t be tackling the many other indications which SPG stimulation could address. He indicated that preliminary studies have demonstrated the SPG device’s efficacy in dementia. Mr. Levy says that President Peres’s B.R.A.I.N. initiative will complement the already-blossoming Israeli neurotech arena, but minor creases in Israel’s regulatory system at the Ministry of Health should be ironed out to help the industry, particularly the difficulty in gaining clinical trial and market approval. BrainStorm Cell Therapeutics Inc. (BCLI) is a biotechnology company engaged in the development of first-of-its-kind adult stem cell therapies derived from autologous bone marrow cells for the treatment of highly debilitating neurodegenerative diseases such as Amyotrophic Lateral Sclerosis (ALS, also known as Lou Gehrig's disease), Multiple Sclerosis (MS) and Parkinson’s Disease (PD). In recent months BrainStorm has featured strongly on the international media front with announcements of highly positive preliminary results of the company’s NurOwn technology, currently in Phase IIa dose-escalating clinical trials in Israel. So promising is the technology that initial signs of efficacy were demonstrated during a Phase I safety trial, before efficacy was even assessed. Thus multiple breaths are being held in anticipation of what miracles the dose-escalating trial has yet to unravel. 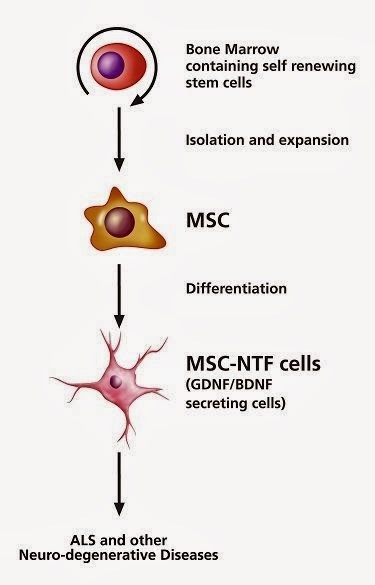 NurOwn is thus termed because it utilizes the patient’s own stem cells, which can be differentiated into specialized, neuron-supporting cells. These specialized cells secrete neurotrophic, or nerve-growth, factors for protection of existing motor neurons, promotion of motor neuron growth, and re-establishment of nerve-muscle interaction. The hope is that injection of these cells in ALS patients will significantly slow down, halt or potentially even reverse disease progression. Mr. Natanson joined BrainStorm in February 2013. Previously, as Director of Marketing and Finance in Teva Pharmaceuticals’ (NYSE:TEVA) Copaxone division, he played a key role in the commercialization of patented therapeutics for multiple sclerosis, establishing the division and executing its international strategy and product launch. He holds a BA in Economy and an MBA from the Hebrew University. NurOwn is currently in Phase II clinical trials for the treatment of ALS with very promising results. If everything goes according to plan, when do you anticipate the product launch? Clinical validation and regulatory approval of a drug or stem cell treatment is not a short process. We intend to launch another Phase II in the US towards the end of this year, which we expect will run for up to 1 ½ years. In addition, we plan to conduct a repeat-dose trial, which we hope will transition into a Phase III. In short, we anticipate product launch in 2015-2016. Our clinical goal is to slow down or halt the disease progression. If we succeed in patients with advanced disease, their potential ability to regain function of their various systems is an unknown. ElMindA is a neurodiagnostic company with a potential to take the ambiguous guesswork out the way brain disorders are diagnosed. Founded in 2006 by Prof. Amir Geva of BGU’s Department of Electrical and Computer Engineering, the company’s lead technology, BNA (Brain Network Activation), is a non-invasive brain scanner technology which combines EEG readings with patented signal processing and analytical algorithms. The purpose of BNA is to read the activity of multiple neuronal areas simultaneously, to recognize patterns with the help of sophisticated analytical software, and to process this information into a diagnostic output which is meaningful for the physician, all in 15-30 minutes. 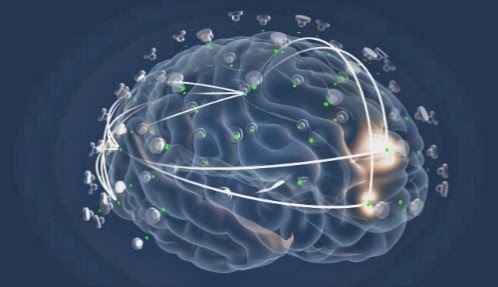 Rather than observing the electrical activity of distinct brain areas, the technology aims to create a picture of the neural network which is active at any particular time. The idea is that certain neurological disorders will have “signature” patterns of activation and communication in these neural activity networks, and can thus be diagnosed. Another way in which the technology can be used is to compare neural network maps before and after drug administration, or during post-injury recovery. On several occasions ElMindA has now been able to demonstrate that administration of certain drugs yields distinctly altered activity networks. BNA is not yet available as a diagnostic tool (although ElmindA is working on it), but pharmaceutical companies are eager to get their hands on the technology. There is a clear unmet niche in measuring drug effects on cognitive processes in CNS clinical trials—a tool which could help companies save hundreds of millions of dollars if they can foresee clinical trial failure. ElMindA recently entered into research collaboration with Purdue Pharma LP, which will focus on gathering data on brain changes during clinical trials of novel pain medications, and on improving understanding of pain pathways in the brain. Neuronix, founded in 2008, is working on introducing new methods for modifying the course of treatment for Neuro-degenerative Diseases and in particular Alzheimer Disease (AD). Neuronix’s neuroAD technology is currently undergoing advanced clinical trials in major medical centers across the globe, including the Beth Israel Deaconess Medical Center (BIDMC), Boston MA—the teaching hospital of Harvard Medical School. The neuroAD system for the treatment of mild to moderate Alzheimer’s Disease is based on the company’s core Non Invasive Cortical Enhancer (NICE™) technology, CE-cleared for this indication. 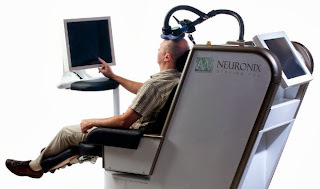 This patent-pending technology uses magnetic stimulation of affected brain regions concurrently interlaced with Cognitive Training and directed at specific brain regions affected by Alzheimer’s disease. The stimulation induces LTP (Long-Term Potentiation), which is associated with learning and memory processes, and results in a measurable cognitive improvement after just a few weeks of treatment. In clinical trials, neuroAD technology has shown measurable cognitive improvement after just a few weeks. The results, published in peer-reviewed journal, showed marked reversal of disease progression with patients improving to a state comparable to two years before treatment initiation. Trials also indicated that improvement is maintained for at least six months post treatment. For a FREE full copy of Bioassociate's "Israel's Reign in the Golden Age of Neuroscience" report, click here!